India continued to give pressure till the end to Nepalese leaders not to issue constitution. For the same reason, Prime Minister Narendra Modi himself sent Ranjit Roe as a special envoy in Nepal to talk with leaders of 4 major parties and Prime Minister and President of Nepal. 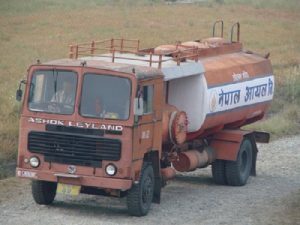 When nothing could stop Nepal from issuing the constitution, there has been news that India is halting supply of goods to Nepal in Indian border. India has always been criticized for its habit of meddling in the affair of neighboring countries. India was seeking credit in issuing constitution of Nepal. Besides, it did not want Nepal to be the secular state. It wanted to see Nepal as a Hindu state. There were many provisions in this constitution that did not suit the interest of Indian government. Thus, India did not welcome the new constitution of Nepal when every other nations including the other neighboring country- China, Japan, Pakistan, USA and other countries congratulate Nepal for issuing the constitution. The fact that #Back Off India was trending in twitter at 5th position worldwide shows the bitter response that India is getting for its behavior. It is high time that Indian Government should revise its diplomatic policy for neighbors. It has been known that India has called its ambassador to Nepal back to India on tuesday to discuss the current scenario and the events that are proceeding after the announcement of constitution. Political leaders are denying the possibility of India imposing economic sanctions over Nepal. India- Nepal relations have never run smooth. It has never welcomed changes in Nepal. I am still remembering the day when every other nations welcomed the proposal to declare Nepal as a peaceful state but the neighboring country- India did not show support and Nepal failed to be declared as the peaceful state. The fear of Nepal blockade had negative impact on the stock market of Nepal. India had already imposed blockade in Nepal once in 1989 during which the government transported goods from China. Thus, India should not forget that India is not the only border sharing country with Nepal. So, there will be no impact even if India seals Nepal- India border. When asked to Nepalese political leaders- ‘Is India preparing for Blockade in Nepal?’, none of the leaders said it was true. But they said India was questioning about the security issue in Terai while transporting fuel tanks from India to Kathmandu. So, this might not be the case. You can show your support for standing against ill intentions of India by clicking HERE.